Jennifer Sobol, D.O. is a partner in the Michigan Institute of Urology, P.C. Dr. Sobol has practiced in the Metropolitan Detroit area since 2006. Dr. Sobol is experienced in all areas of adult urology. 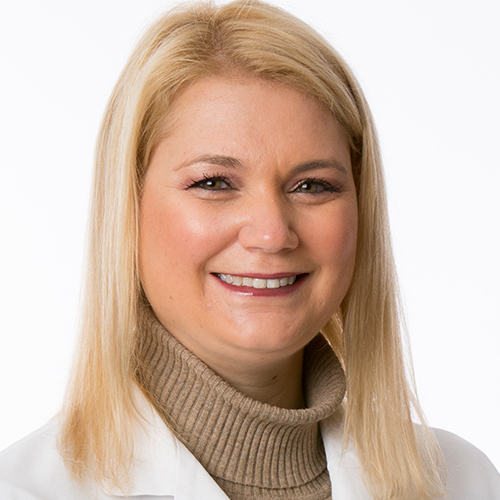 She has special clinical interests in Female Urology, Neurourology, Male Incontinence, and Urethral Disorders and has made numerous presentations covering these topics at professional urology meetings across the country. Dr. Sobol is certified by the American Osteopathic Board of Surgery. Dr. Sobol received a Bachelor of Arts degree from the University of Michigan in 1994. She received her Doctor of Osteopathic Medicine degree from the Philadelphia College of Osteopathic Medicine in 1999. Dr. Sobol completed her Internship at Botsford General Hospital in Farmington Hills, Michigan in 2000. She completed her general surgery training in 2002 and her urologic surgery training in 2005 at the Albert Einstein Medical Center in Philadelphia, Pennsylvania. She completed her fellowship in female and male incontinence, Neurourology and Voiding Dysfunction at the University of Michigan in 2006. Dr. Sobol is on staff at Huron Valley-Sinai Hospital, St. Joseph Mercy Oakland Hospital and William Beaumont Hospital, Royal Oak and Troy campuses. Dr. Sobol is a member of the American Osteopathic Association and the American College of Osteopathic Surgeons. Dr. Sobol and her husband, Louis Sobol, M.D. and their twin sons reside in West Bloomfield, Michigan. She enjoys cooking, traveling, and reading.